I enjoy authors who can mix and match stories and lessons from figures as diverse as Picasso, Proust, Edison, John Lennon and Michael Jackson while creating a book that still maintains a common theme and excellent core concepts. Scott Barry Kaufman and Carolyn Gregoire have written such a book, Wired to Create: Unraveling the Mysteries of the Creative Mind, and it’s been one of my favorite reference books for great ideas, examples or stories I can share with my employees and coaching clients in any of my five monthly newsletters or handful of other weekly and monthly communication channels. 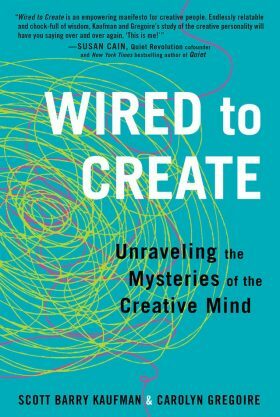 The authors examine ten attributes of “highly creative” people. There are other books that look at the same overall question, but few have categorized the process into ten succinct and highly-relevant attributes. Of particular importance to the orthodontist looking to grow his or her practice, the sections on intuition, turning adversity into advantage and thinking differently are must-reads. There are too many books to count on the topic of creativity and the majority of them explore ideas or opinions of the authors. Few, and perhaps only this book and a few others, mix scientific knowledge with wisdom and excellent storytelling to present both evidence and anecdote that can help you achieve more creativity in your life. Some books are for entertainment or enlightenment and some are instructive, showing exaclty how you can live a better life by implementing the principles and strategies discussed. This book is both.